LAS VEGAS — Ouch, but in Mission: Impossible - Fallout, Tom Cruise really shattered his ankle. But the 55-year-old calmly finished the take and was back on set within six weeks. "I’ve broken bones before in my life but it was hard," he said. "It was very difficult, because they were concerned I wasn’t going to be able to run for nine months at least and I’m in the middle. I’ve got a release date and responsibilities - I didn’t want to stop filming." 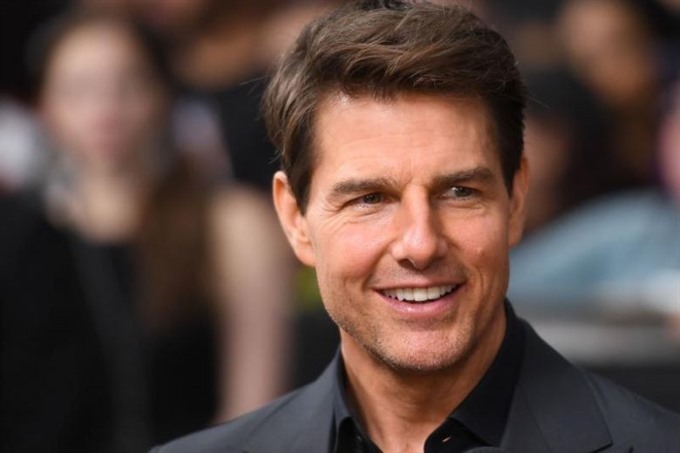 Cruise was at the annual CinemaCon industry gathering in Las Vegas, where he was promoting the sixth film in the lucrative spy franchise ahead of its July 27 release. Mission: Impossible - Fallout was forced to halt production in London last year after he slammed into a concrete wall as he leapt between buildings while attached to cables. "I knew instantly my ankle was broken and I really didn’t want to do it again so just got up and carried on with the take," he said after the incident. Cruise’s most difficult days were ahead of him, though, as he had to spend hours every day in rehab and climb a mountain in Norway when he returned to filming.